AKC Award for Canine Excellence-winner Wynd passed away Sunday morning following her battle with osteosarcoma, a bone cancer. 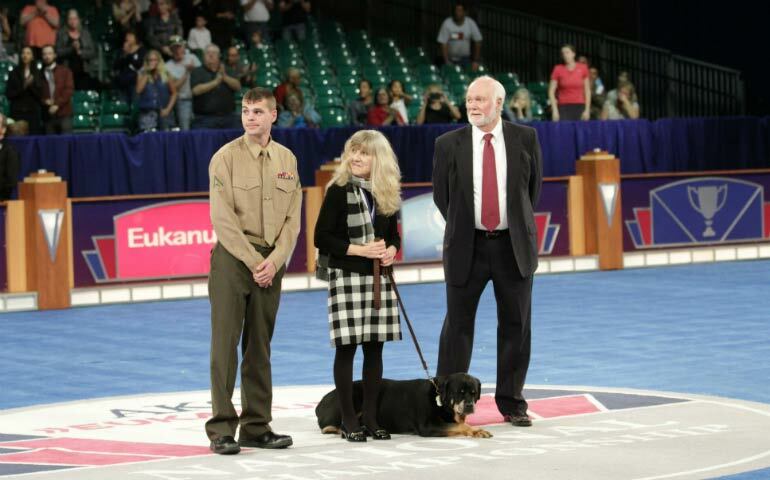 Wynd, a Rottweiler, was the 2015 ACE winner in the therapy dog category. She helped a number of service members by being a part of the therapy dog team for surviving military family members at the Tragedy Assistant Program for Survivors and she was a regular at the Hampton VA Medical Center. She also spent time at the BARKS Program (Books and Reading for Kids in Suffolk) to encourage reading and help children who were afraid of dogs.